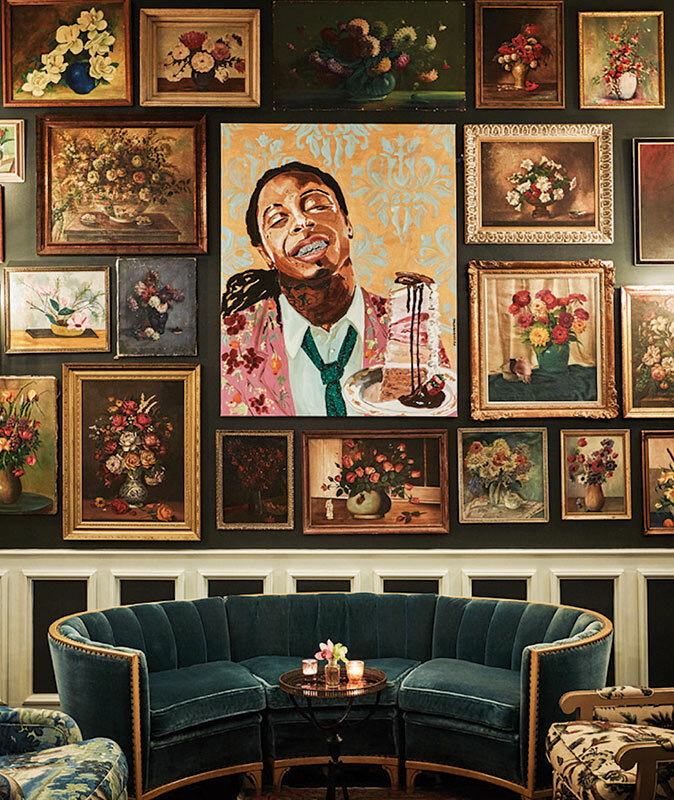 While many visitors start in the French Quarter—which is full of storied white-tablecloth establishments, jazz clubs, and po’ boys galore—the rest of the Crescent City is packed with Cajun, Creole, Southern, soul food, and more. If it’s been a while since you’ve visited New Orleans, it’s time to come back and try some of the new kids on the block. Finding the perfect home base in the Crescent City can make a good trip great. 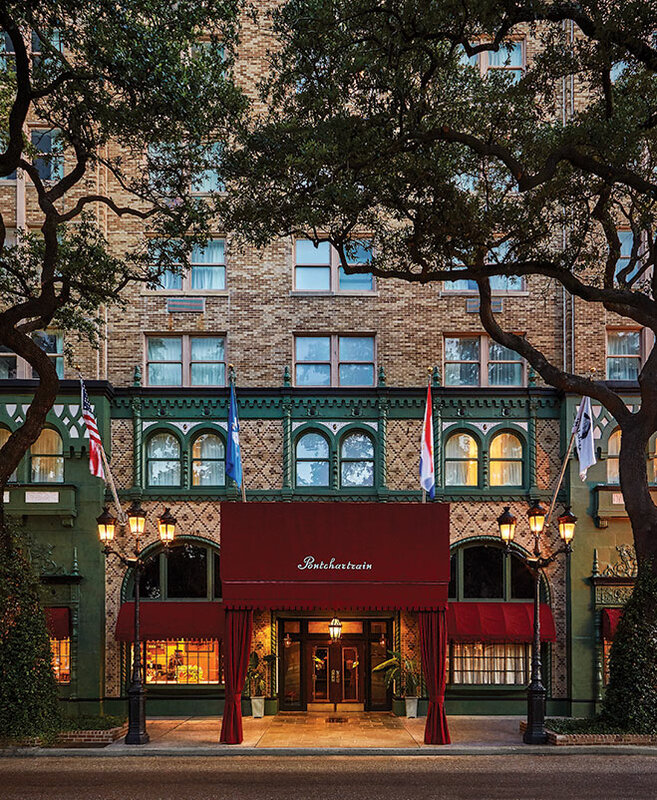 Located on St. Charles Avenue in the picturesque Lower Garden District, the Pontchartrain Hotel covers all the bases and then some. The historic 1927 property was renovated in 2016 and has amenities to spare. The recently renovated Pontchartrain Hotel gives guests not only a comfortable and convenient home base to explore the Crescent City, but also includes three top-notch dining options and a rooftop bar. A few highlights from the 106-room hotel include a rooftop with stellar downtown views, nightly performances at the piano bar, and a charming breakfast nook. Did we mention Mile High Pie was invented here? Having a towering slice with some well-chilled Champagne at Jack Rose is an essential New Orleans experience, but imagine the luxury of having it brought up to your room! 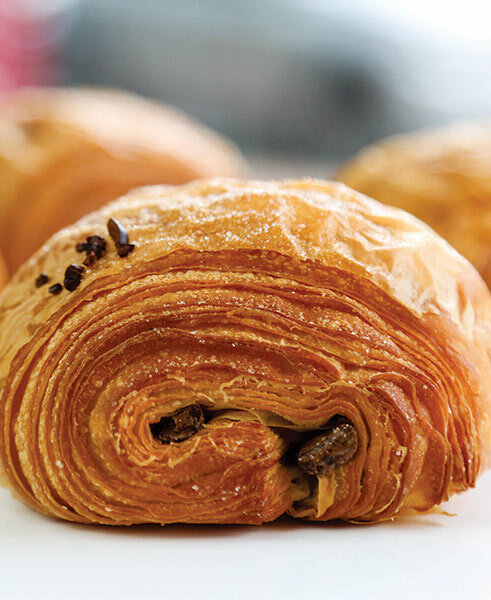 If you can resist the siren call of the streusel-topped blueberry muffins at the Pontchartrain Hotel’s Silver Whistle Café, start your morning with a quick walk down St. Charles Avenue to Gracious Bakery + Café. This local favorite with outposts in Mid-City, the Garden District, and Uptown has offerings that run the gamut from simple and comforting—build-your-own egg sandwiches—to a sublime and decadent Twice-Baked French Toast that’s stuffed with berry compote and whipped cream. They also offer some of the tastiest king cakes in town. 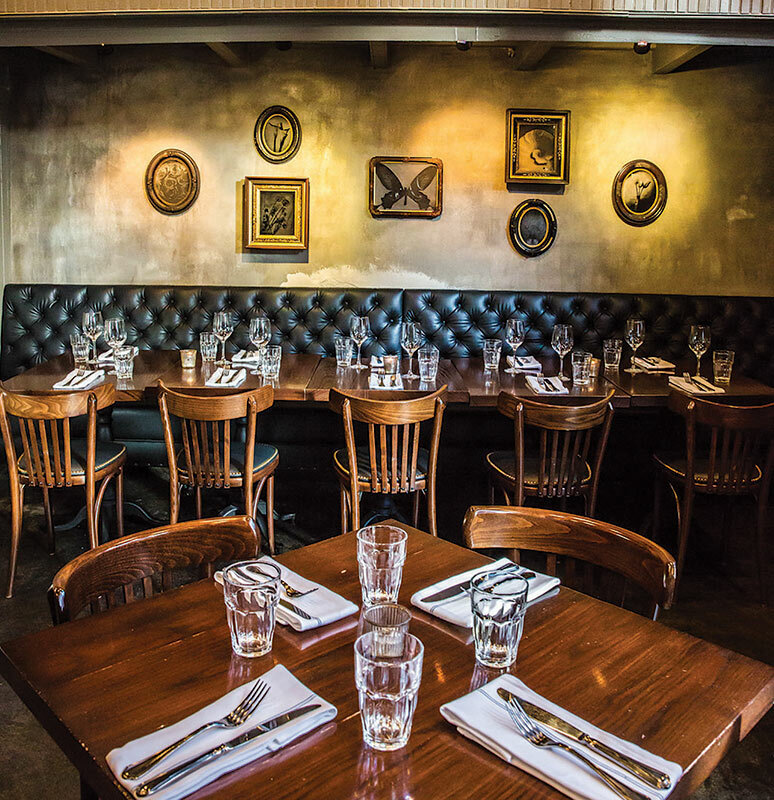 In a city that seamlessly combines old and new, it should be no surprise that the French Quarter’s relatively young Sylvain turns out refreshingly modern yet completely comforting brunches and dinners in a well-used 18th-century carriage house. 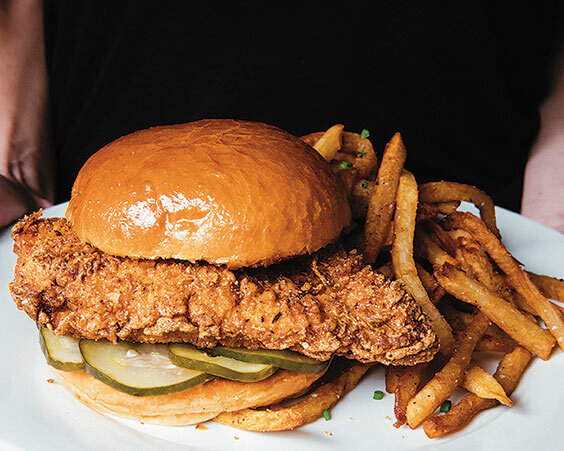 While the menu is full of classic Southern (Buttermilk Biscuits & Gravy) and New Orleans flavors (shrimp rémoulade over a fried green tomato), it can be difficult to get past the Chick-Syl-vain Sandwich. This towering masterpiece of shatteringly crisp chicken, Cheddar cheese, and grits offers significant fortification for a day of exploring. And it pairs beautifully with a spicy Bloody Mary cocktail. Nestled along the grand Esplanade Avenue in the Faubourg Tremé, Li’l Dizzys Café may not be brand new (it opened in 2005) but it’s a must-try for anyone searching for authentic Creole dishes and soul food: filé gumbo and fried chicken, po’ boys and the crab-topped Trout Baquet. In addition to the Tremé destination, owner Wayne Baquet, whose family has made a name for itself over three generations, operates a sought-after booth at the New Orleans Jazz & Heritage Festival each spring. As the winter settles in, boiled crawfish become more plentiful throughout the city, and Mid-City’s Bevi Seafood Co. cooks up some of the best. Their seasoning blend and cooking technique turn out beautifully spiced and shockingly tender crawfish and shrimp (and crabs, when they’re available). Additionally, they offer a dozen po’ boy varieties, ranging from a classic fried shrimp to a slow-roasted beef (topped with caramelized onions and Swiss cheese) to craveworthy originals like the Messi Swine (crispy pork belly, smoked pulled pork, and bacon fat mayonnaise). 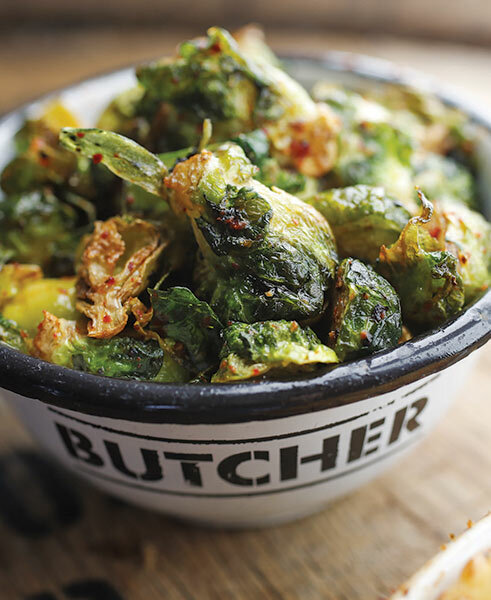 Across town near the National World War II Museum in the Warehouse District, Cochon Butcher has become a palace of pork. 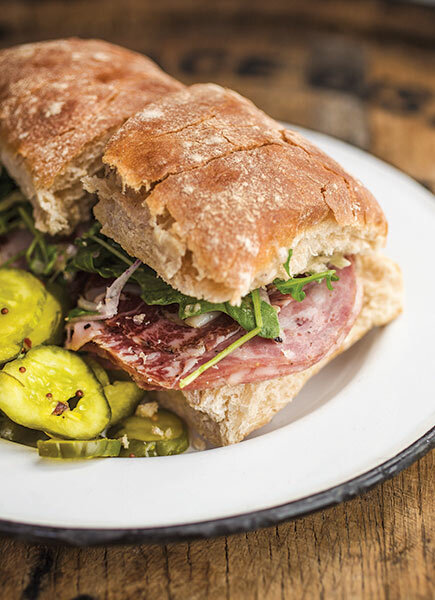 With meats being aged and specially butchered on-premise, this wide-open and bustling sandwich shop run by James Beard Foundation Award-winning chefs Donald Link and Stephen Stryjewski is an oasis of Cajun flavor and fun takes on New Orleans originals. The Cochon Muffaletta, Cajun Pork Dog, and Hot Boudin will all compete for your attention, so don’t miss their Le Pig Mac: a pork-only burger that’s rich and bold enough to satisfy the most steadfast carnivore. After a day of exploring New Orleans on foot (the best way to experience the city’s charm), take a quick drive over to Bucktown on the shore of Lake Pontchartrain. A few years ago, seasoned chef Alison Vega opened Station 6 and has been delighting a mostly local crowd ever since with her thoughtful updates to Crescent City seafood classics (and fairly remarkable oyster and Champagne happy hour). Sizzling Garlic Shrimp and the Jumbo Lump Blue Crab Cake are a solid start to any meal, and Alison’s seafood gumbo, snapper with crawfish pilaf, and juicy pork chop served with bourbon sweet potatoes make for some difficult decisions later on. Whatever you do, save room for the Buttermilk Drop Bread Pudding. Back in the Central Business District, Chef Justin Devillier celebrates New Orleans’ status as a premier port city with his cooking at Balise Tavern. Fresh Gulf seafood makes a strong showing on the menu (starring in dishes like a shrimp and tasso gumbo, a decadent Blue Crab Gratin, and a pan-roasted fish with citrus butter), but just about any craving can be satisfied with options including a fried chicken sandwich, hanger steak with chimichurri, and the BT Cheeseburger. The menu’s sleeper hit, though, is the Baked Rigatoni: a rich, comforting bowl of pork ragout, mushrooms, and melted cheese. It will brighten any winter day. When you come to the Crescent City, you’ve got to come hungry. The inclusive and ever-widening culinary landscape supports tried-and-true restaurants that have generations of history, while fostering an atmosphere that encourages experimentation, diversity, and evolution. Dining the Crescent City has never been better.